This September 13th-22nd, 1xRUN’s Murals In The Market returns for the 4th consecutive year, bringing more than 50 local and international artists to Detroit’s Historic Eastern Market. New sculptural public art installations, a massive family friendly block party featuring DJ Jazzy Jeff, a new Murals In The Market book available through Patronicity, and of course dozens of new public murals, will add to Detroit’s unique history of placemaking and public art in the city’s only international mural festival. 1xRUN is proud to welcome back our partners at the William Davidson Foundation, the John S. & James L. Knight Foundation and Eastern Market Corporation to help bring this world renowned public arts festival to Detroit’s oldest farmers market. Elevating Detroit’s Eastern Market to the forefront of the international art stage for the fourth consecutive year, 1xRUN’s Murals In The Market continues to expand its programming with new sculptural installations from storied Detroit artists Bob Sestock and Scott Hocking. Each artist will be creating new site specific installations in the district to add new sculptural elements to compliment over 100 murals throughout the Market. 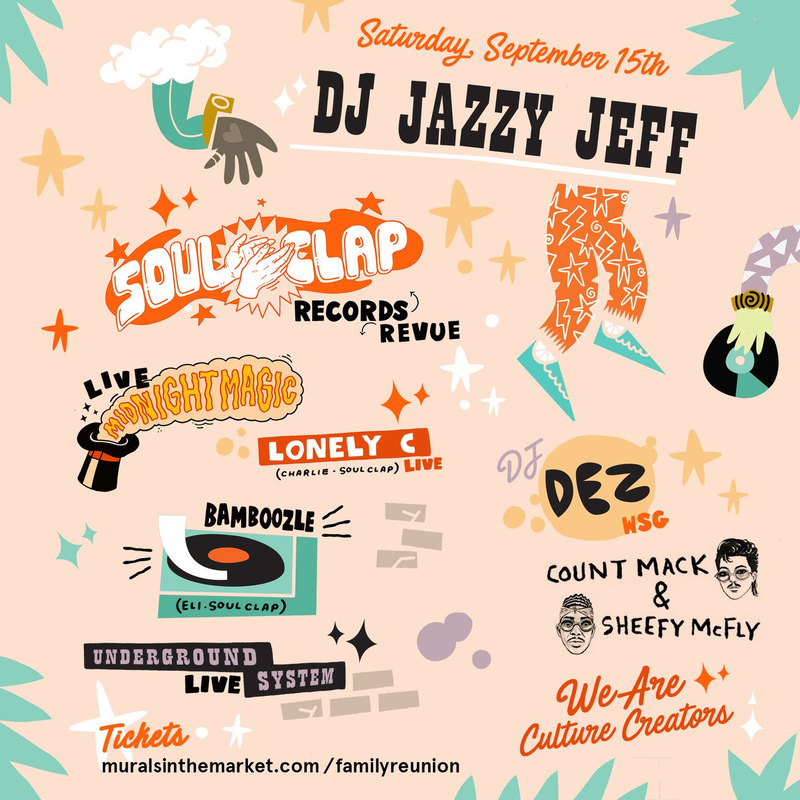 Joining forces with Detroit’s electronic music tastemakers Paxahau & the Detroit Hustles Harder crew this year’s festival will also bring legendary musician DJ Jazzy Jeff to Detroit for Family Reunion, a massive all ages block party on September 15th! Joining DJ Jazzy Jeff for the family friendly block party festivities will be DJ Dez with Special Guest, Midnight Magic, The Soulclap Ensemble, Underground System, Bamboozle, Sheefy McFly, Count Mack and We Are The Culture Creators. A limited amount of discounted presale tickets are now available on seetickets.us for $15 each. 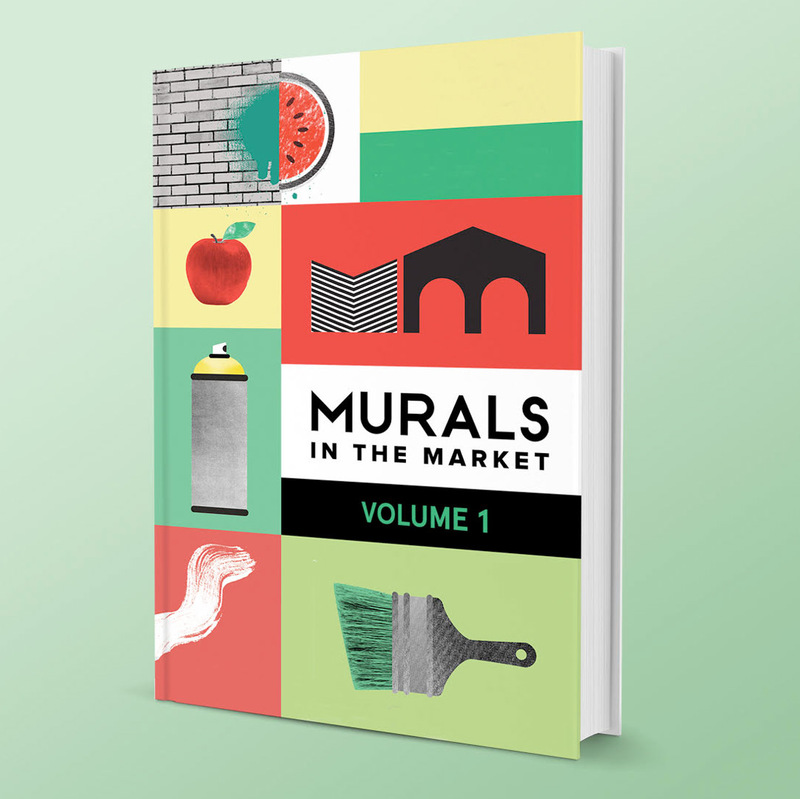 In addition, fans can pre-order the Murals In The Market Vol. I book and help support this year’s festival. The hardcover book captures highlights from the first three years of the festival and will help raise money for this year’s festival. Murals In The Market has teamed up with Michigan-based crowdfunding website Patronicity and the Michigan Economic Development Corporation (MEDC) who will be matching funds for every dollar raised! Help support this year’s festival at patronicity.com/muralsinthemarket. Building upon the overwhelming public support of the festival’s first three years, Murals In The Market will continue to expand Eastern Market’s walkable footprint. With more than 150 public murals and public sculptural art installations strategically placed throughout the Market District, the festival encourages exploration of every corner of the market, giving visitors locally and internationally a look into businesses and areas often unseen and underutilized. Once again Murals In The Market will continue to enhance Detroit’s signature market experience and make the Detroit a world class, must-see destination for art, as well as fresh food. Pre-Order Now On 1xRUN + On Patronicity! 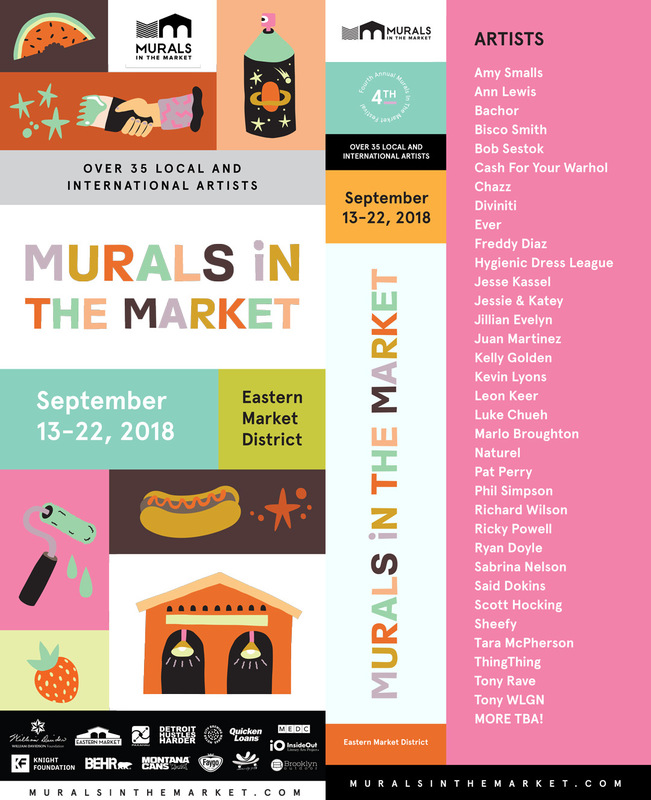 In addition to creating new murals, the market will also host a series of events including discussion panels with culturally significant photographers & artists, a cultural tour, art exhibitions, an Eastern Market block party, as well as nighttime activities coinciding with Detroit Design Festival’s Annual Eastern Market After Dark on September 20th. Local and national foundations and sponsors will help make 2018 another year to remember, as presenting sponsors, the William Davidson Foundation along with the Knight Foundation and 1xRUN will be joined by Eastern Market Corporation, Behr, Montana Cans, Quicken Loans, Brooklyn Outdoor, Detroit Hustles Harder, Paxahau, Faygo, Motor City Brewing Works, Inside Out, Community Push, Patronicity and the Michigan Economic Development Corporation (MEDC). Paint for Murals In The Market will once again be provided by Behr and Montana Cans, two industry leaders that are committed to helping artists create outdoor works of art that will stand the test of time. Public art has always been, and always will be, an integral part of the Eastern Market District experience. The 2018 Murals In The Market festival will continue to expand on 40+ years of large-scale public murals by bringing a new world-class local and international artists to add exciting new works throughout the market. Artists from as far away as Mexico, the Netherlands, and Argentina will join a diverse group of Detroit-based artists that have made an impact on the public art scene.